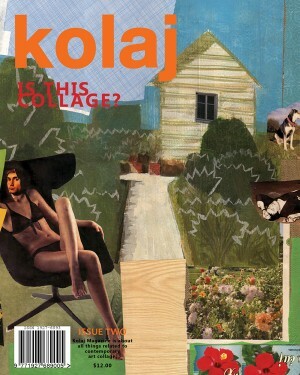 The print edition of Kolaj Magazine comes out quarterly. 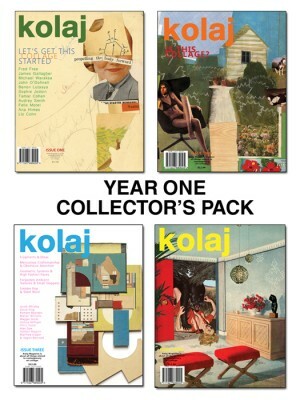 Here are our issues. 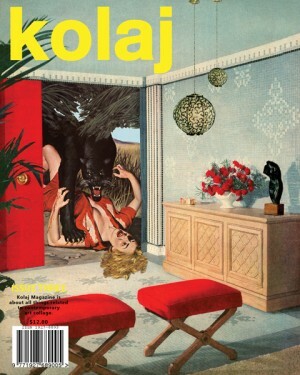 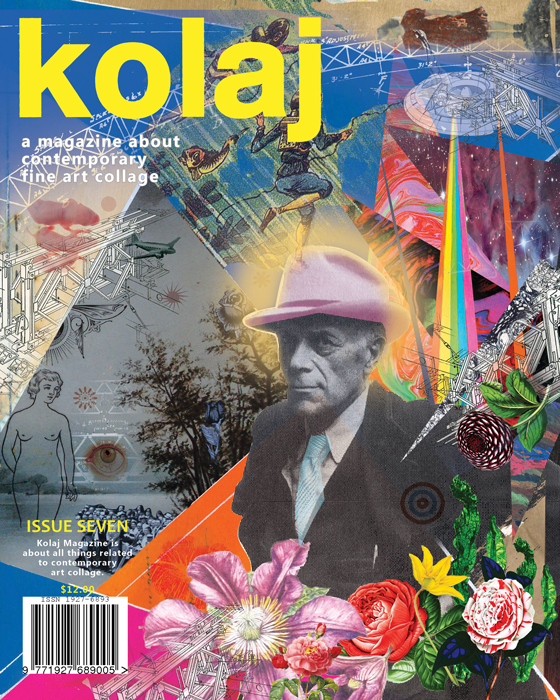 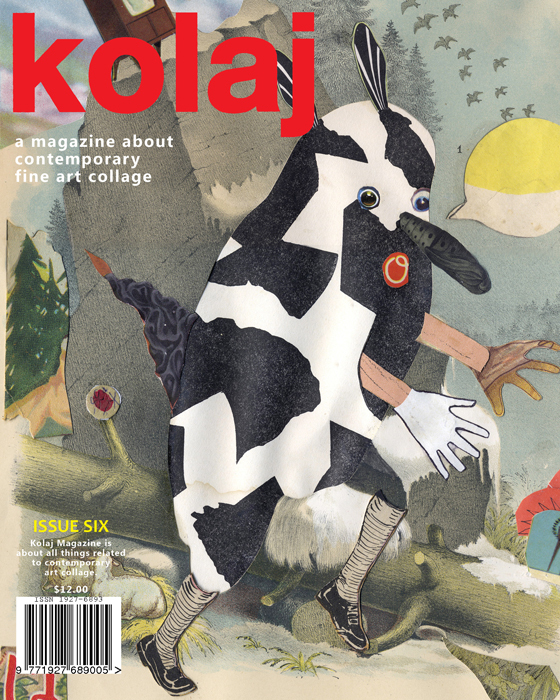 In its first year, Kolaj explored collage’s role in the world of contemporary art; asked the question “Is this collage?”; informed readers about collage exhibitions and events; and, most importantly, shined a spotlight on the work of collage artists from around the world. 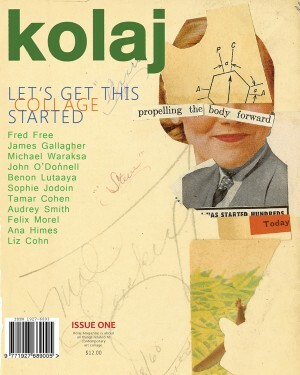 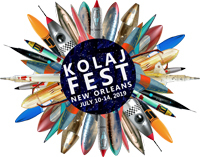 Kolaj editor Benoit Depelteau reflects on the magazine’s first year. 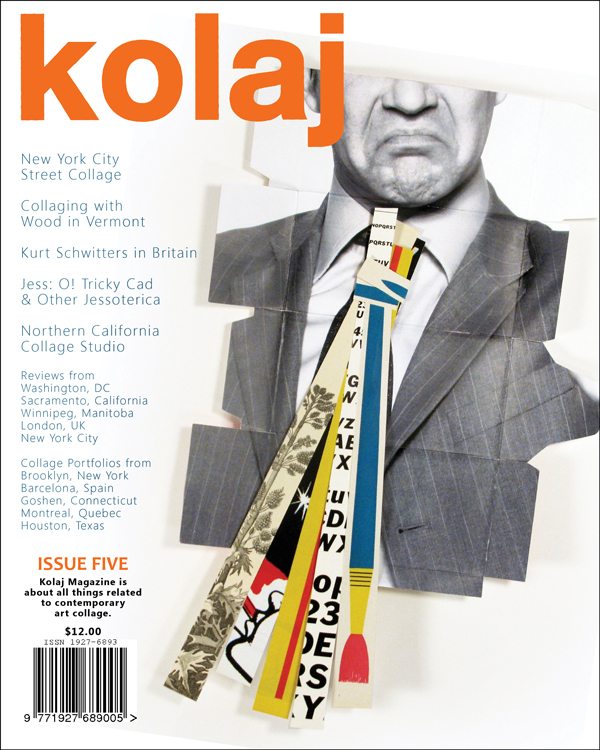 Ric Kasini Kadour tells how Venezuelan collage artist Alejandro Otero brought modernity to his country. 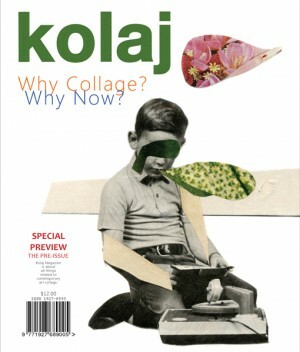 Kolaj editor Benoit Depelteau investigates collage as process with artist Emmanuel Laflamme. 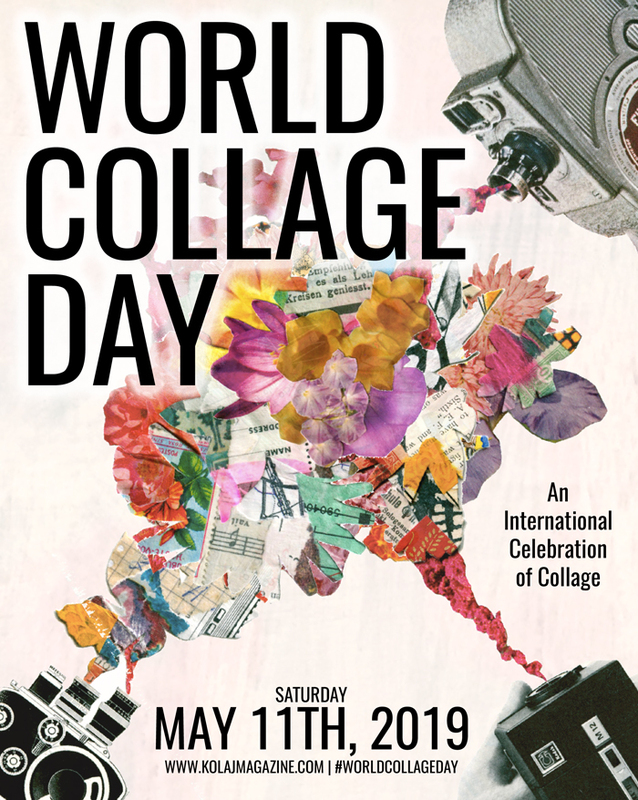 Billy Mavreas’ “Collage Today & Everyday” explores collage culture. 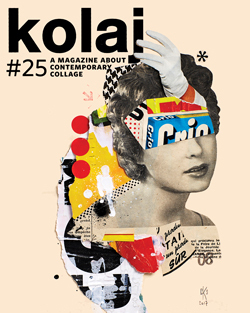 Cory W. Peeke talks with four collage artists about their love of vintage materials. 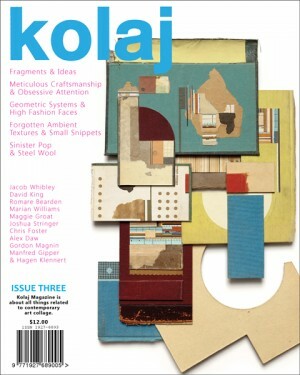 We visit Carolina Chocron in her studio.